Roundups take many forms. Small “gathers” can include anywhere from a single cow to twenty or more. 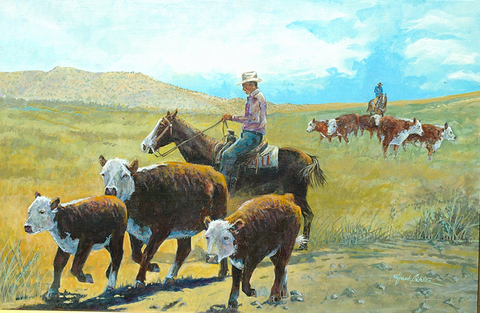 Jim and Cort are heading three more to the corral and then on to market.